Over 11 years ago a group of spiritual beings made their presence known to me while I was corresponding with my e-mail list. I discovered that were happy to be known by any name I cared to give them and since I like simplicity, I called them The Group. At the end of the messages they would sign off with Go For The Joy and most recently that changed to GO FOR YOUR JOY. They told me that we are all magnificent beings of light and love-PERIOD-NO ANDS, IFS OR BUTS! They also let me know that when we are living in our joy, whatever that means to each of us then we are the best contribution we can be to everyone and the planet. When we go for our joy, we are incapable of being unkind. We find that fear becomes a distant memory. We become who we truly are, which is, as you might guess, are magnificent beings of light and love. 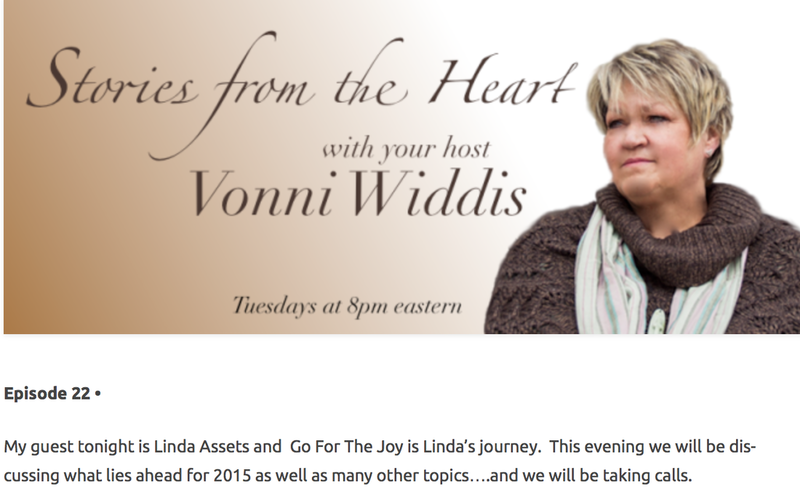 Vonni Widdis of Stories From The Heart had me as a guest on her radio show. I spoke about the work I do, did a few readings and offered The Group's perspective on 2015. 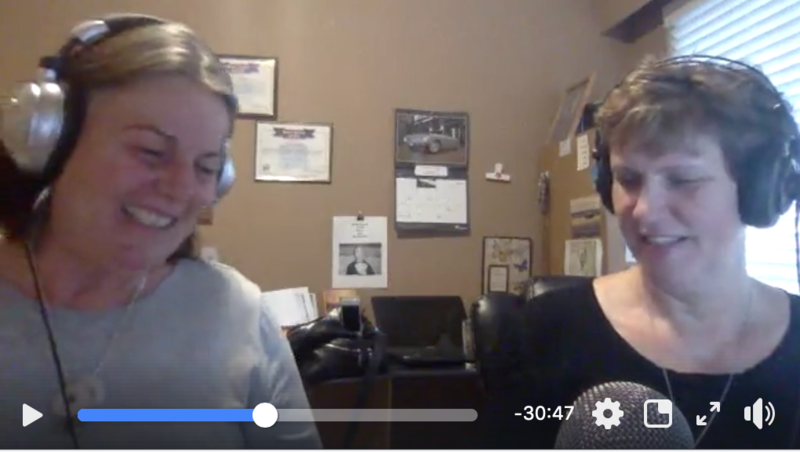 You can click on the picture below to listen to the show.